As a specialist in the production of micro metal parts through a patented and continuously optimized micro laser sintering technology, 3D MicroPrint has emerged with its expertise as unique selling proposition during the entire exhibition. Fascinating conferences, well-versed experts and great conversations in the exhibition. 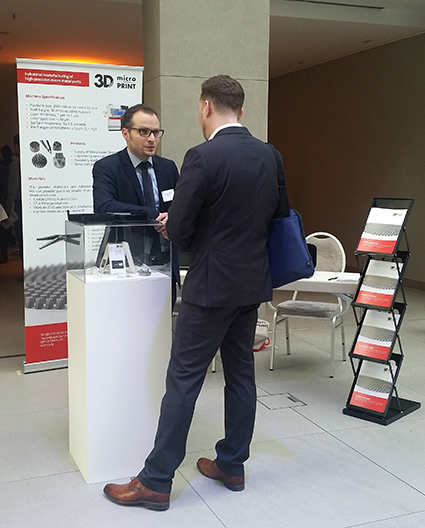 The 2nd ADDITIVE MANUFACTURING FORUM 2018 in Berlin has been a great platform for create and increase our network, to share know-how experiences. A great thanks to the IPM AG, too, which has ensured a pleasant stay.